As marketers increase ownership of customer engagement and experience, we look to martech as a strategic investment. But marketers must assess new technology for more than just tactical execution and capabilities. Rather, what value will this tool create for your business? 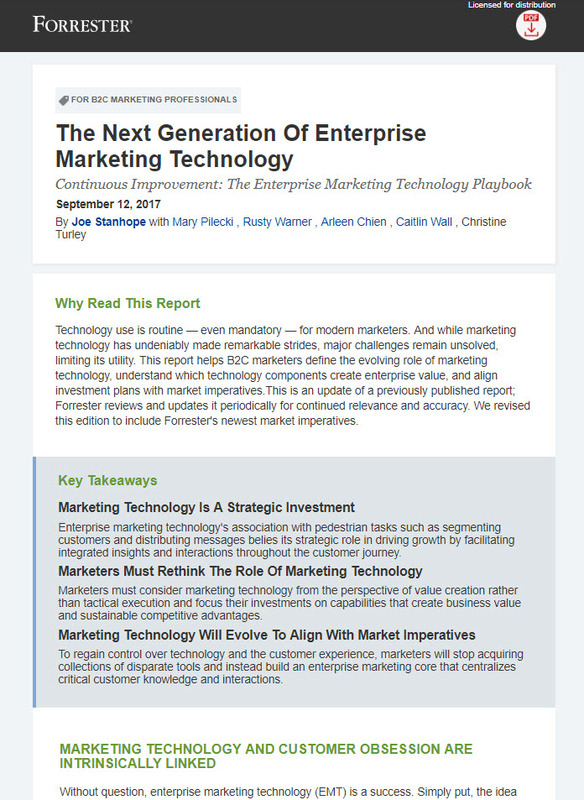 In this report, Forrester analyzes martech trends and dives into the market imperatives that align with marketing’s most important mission: to deliver personalized customer journeys that increase engagement. Download the Forrester report today.